So, you have two PDF documents that you want to combine into one and find yourself helpless to do that. 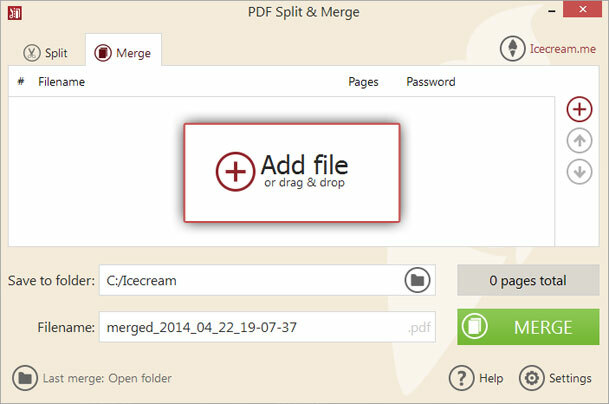 The point is PDF editing requires specific software, and you can’t make any changes to your files unless you install an appropriate program like Icecream PDF Split&Merge. This quick step-by-step guide will aid you tremendously with understanding the principles of the program’s work and help you successfully merge two PDFs into one. 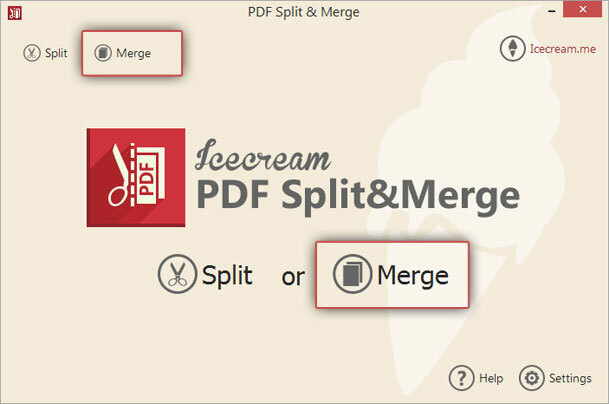 Download Icecream Split&Merge onto your computer. Double click on the setup.exe file to start the installation. If you are new to this, use wizard’s guidelines to make your way through the process. When the program is installed, press “Finish” and open the application. To combine two files into one, you should choose the “Merge” option. It’s available immediately after launching the program. If you were working in the “Split” section or got there by mistake, switch to the necessary mode by clicking on the “Merge” tab at the top of the window. Press on the “Add file” icon. You’ll see the content of your hard drive as a tree structure, so open the necessary folder and select the desired document. If both documents that you want to merge are located in the same folder, press and hold the CTRL key and select the files to upload them simultaneously. If these files are located in different folders, add one, then click “+” again, and upload the second one. Otherwise, just drag and drop them into the working area. Preview area displays all the data about the imported files, such as their titles, number of pages, and password statuses. Encrypted file’s information isn’t displayed though, so you want to start with clicking on “Enter password”. Type it into the suggested box and press “OK”. PDF files for which the passwords were not entered couldn't be processed by the program. Note that PDF Split&Merge merges your files according to their sequence in the queue. For example, if the file that should come first is put to the bottom of the queue, highlight it and use the “Up” arrow icon to move it up. Press “Preview” to double check that the files come in the correct sequence. Recycle bin icon in the right column of each file's line will help you delete them from the queue. You can check the number of pages for each document in the chart and the total number of pages displayed to the right of the “Save to folder” box. Save to folder: click on the folder icon to choose the output location and press “OK”. Filename: you can specify a new name for the output file or leave the default title (which should look like “merged_year_month_date_h-m-s”). Click on the “Merge” button at the bottom right corner of the window to merge PDF files. On the completion, you can view the file in the containing folder, quit the program, or do some other merging or splitting operations.